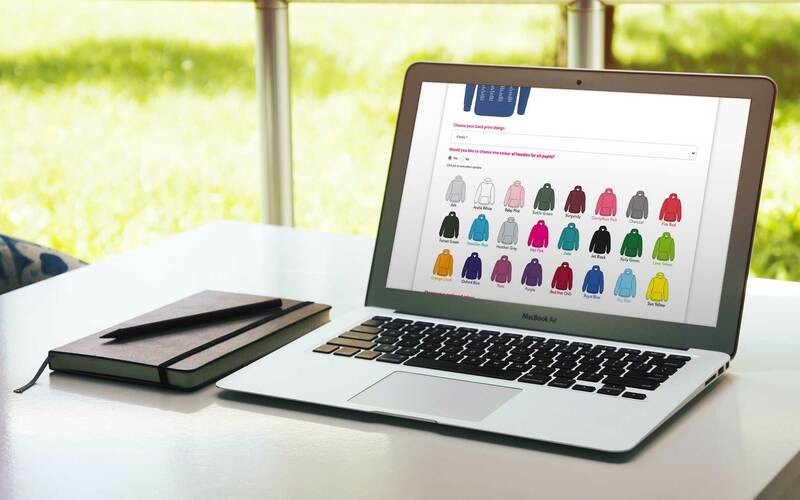 Hartland Hoodies are a school leavers hoodies company that supply truly bespoke hoodies to many schools, both primary and secondary, across the south of England. Wanting to break away from their current website solution Sophie English, the owner, came to us to discuss what we could bring to the table. After several meetings to formulate a solid plan of action, Sophie was confident enough to sign up to our Business Pro Package and the development commenced. Sophie needed a robust Ecommerce solution that was both easy to administer and also supremely functional from a front end point of view. Enter ECWID, our preferred Ecommerce partner. This formed the basis of the solution for selling but it was up to Neil to design a site around it that was engaging and beautiful to both use and look at. It also needed to have fluid, simple to use forms that collected all the data prior to Sophie setting up the individual school's bespoke online shops. We injected a solution that is the perfect synthesis between functionality and design. Conditional visibility plays a large part in these forms and makes it easy to navigate through the different fields. 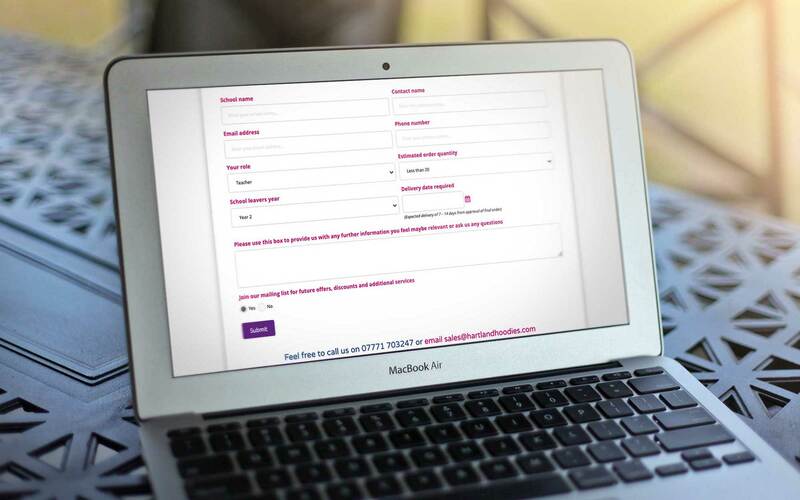 Once a form is submitted and Sophie has created the bespoke store (Neil taught Sophie how to create and administer in ECWID's easy to use dashboard) then the store is uploaded to the site and hidden behind a password protected page so that only the School that it is designed for can see and use it. Sophie then sends the School the link and password so that the parents and school admins can purchase their hoodies. These orders then land in the ECWID dashboard where Sophie can collate all the information she needs before sending an order off to her printers. She can then easily update her customers on progress of the orders via the ECWID administration tools. The results speak for themselves, at the time of writing we have set up 18 school shops with many more in development. The store is taking orders and over 70 have been bought and paid for since it's first few weeks of operating. In the future Sophie is looking to take out social media and SEO packages with Fountain Digital and also look to expand her website to sell uniforms, ski wear, university clothing and other promotional products. Watch this space. "The Hoodies business is going really well. I have had 50 enquiries so far since the website launched and hoping to achieve quite a high conversion so am really pleased. The website is so easy and I have had really good feedback on the shop facility. I am forever grateful for the work you have done and what we have been able to create."